When I left the Centers for Disease Control and Prevention, I had the unique opportunity to choose what I would like to do next. Every career choice I have made has followed a simple rule: how can I save the most lives? With that in mind, I committed to addressing two health issues that have reached a global tipping point. CVD is largely preventable through simple, inexpensive, yet underused interventions that are proven to work and can be implemented today. There was a substantial decrease in CVD deaths in the United States and other high-income countries through the second half of the 20th century;4 replicating this success in lower-income countries could save millions of lives around the world each year. Most countries are not adequately prepared to prevent, detect, and respond to emerging health threats. It’s not a matter of if there will be a new disease outbreak that threatens millions of lives – but when. In today’s interconnected world, it takes no more than 36 hours for disease to spread from a remote village to anywhere on the planet. The world is at a tipping point in its ability and dedication to save lives from these two health threats. Resolve to Save Lives is a five-year, $225 million initiative of Vital Strategies that will support key organizations and engage new partners to accelerate global and national action.6 Funded by Bloomberg Philanthropies, the Chan Zuckerberg Initiative, and the Bill and Melinda Gates Foundation, with global partners including the World Health Organization, the World Bank, the CDC Foundation, and the Johns Hopkins Bloomberg School of Public Health, Resolve will help low- and middle-income countries accelerate and scale up implementation of proven tools and strategies that will save an estimated 100 million lives and make the world safer from epidemics. Resolve focuses on three key interventions to reduce CVD – improving treatment of hypertension from the current global control rate of 14%,7 reducing sodium intake, and completely eliminating artificial trans fats from the food supply. Improved treatment of high blood pressure, which rapidly and substantially reduces risks of stroke, heart attack, kidney damage, and other health problems, can also greatly improve primary care as a component of universal health coverage. Reduction of sodium intake is best accomplished by reducing sodium at the source, which in many countries is processed and restaurant food, and in others food added in cooking and at the table. Consumers can’t take sodium out of food once it’s been added. Sodium intake can be reduced population-wide, as occurred in the United Kingdom where voluntary reductions by industry resulted in a 15% decrease in sodium consumption.13Combining reduced sodium intake with improved hypertension treatment will provide maximum health benefit, as fewer people will need treatment and those on treatment will have a better response to medications. There has already been some progress preventing both CVD and epidemics, but large-scale action has largely been absent, until now. More investment and technical support is needed to help countries reduce the burden of CVD and related, preventable deaths and improve their capacity to prevent infectious disease outbreaks from becoming epidemics. Scaling up proven strategies in these two key areas will save millions of lives and make the world safer for everyone. GBD 2013 Risk Factors Collaborators. Global, regional, and national comparative risk assessment of 79 behavioural, environmental and occupational, and metabolic risks or clusters of risks in 188 countries, 1990-2013: a systematic analysis for the Global Burden of Disease Study 2013. Lancet. 2015 Dec 5;386(10010):2287-2323. Gaziano TA, Bitton A, Anand S, Weinstein MC; International Society of Hypertension. The global cost of nonoptimal blood pressure. J Hypertens. 2009 Jul;27(7):1472-1477. Centers for Disease Control and Prevention (CDC). Achievements in public health, 1900-1999: Decline in deaths from heart disease and stroke – United States, 1900-1999. MMWR Morb Mortal Wkly Rep. 1999 Aug 6;48(30):649-656. Commission on a Global Health Risk Framework for the Future. 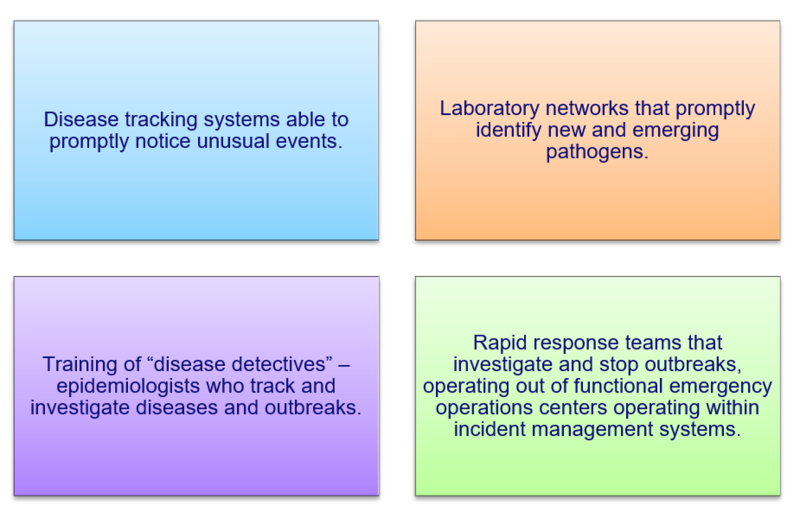 The neglected dimension of global security: a framework to counter infectious disease crises. Washington: National Academy of Medicine; 2016. Frieden TR, Bloomberg MR. Saving an additional 100 million lives. Lancet. 2017 Sep 12. pii: S0140-6736(17)32443-1. doi: 10.1016/S0140-6736(17)32443-1. [Epub ahead of print]. Mills KT, Bundy JD, Kelly TN, et al. Global disparities of hypertension prevalence and control: a systematic analysis of population-based studies from 90 countries. Circulation. 2016 Aug 9;134(6):441-450. Farley TA, Dalal MA, Mostashari F, Frieden TR. Deaths preventable in the US by improvements in use of clinical preventive services. Am J Prev Med. 2010 Jun;38(6):600-609. Padwal RS, Bienek A, McAlister FA, Campbell NR; Outcomes Research Task Force of the Canadian Hypertension Education Program. Epidemiology of hypertension in Canada: an update. Can J Cardiol. 2016 May;32(5):687-694. Luepker RV, Steffen LM, Jacobs DR Jr, Zhou X, Blackburn H. Trends in blood pressure and hypertension detection, treatment, and control 1980 to 2009: the Minnesota Heart Survey. Circulation. 2012 Oct 9;126(15):1852-1857. GSHTP Barbados Pilot Analysis Report, 2014-2016. 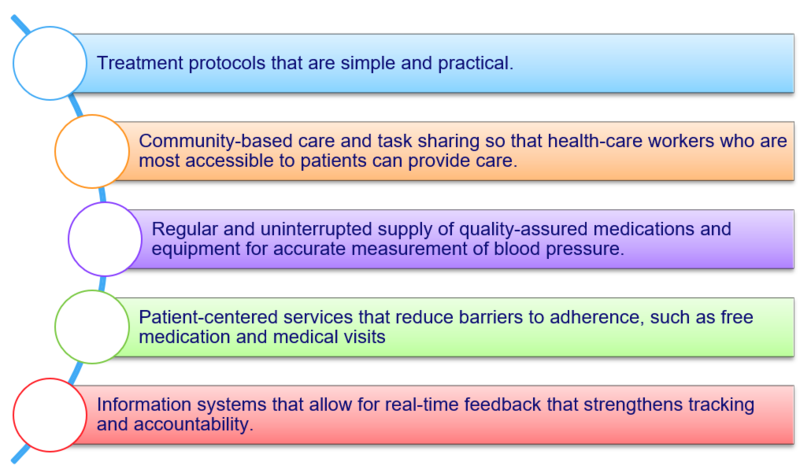 Standardized Hypertension Treatment Project (SHTP). Healthy Caribbean Coalition, GSHTP Core Team and Professor Ian Hambleton, Chronic Disease Research Center. July 2016. Mozaffarian D, Fahimi S, Singh GM, et al. Global sodium consumption and death from cardiovascular causes. N Engl J Med. 2014 Aug 14;371(7):624-634. He FJ, Pombo-Rodrigues S, Macgregor GA. Salt reduction in England from 2003 to 2011: its relationship to blood pressure, stroke and ischaemic heart disease mortality. BMJ Open. 2014 Apr 4;4(4):e004549. Wang Q, Afshin A, Yakoob MY, et al; Global Burden of Diseases Nutrition and Chronic Diseases Expert Group (NutriCoDE). Impact of nonoptimal intakes of saturated, polyunsaturated, and trans fat on global burdens of coronary heart disease. J Am Heart Assoc. 2016 Jan 20;5(1). Angell SY, Cobb LK, Curtis CJ, Konty KJ, Silver LD. Change in trans fatty acid content of fast-food purchases associated with New York City’s restaurant regulation: a pre-post study. Ann Intern Med. 2012 Jul 17;157(2):81-86. Brandt EJ, Myerson R, Perraillon MC, Polonsky TS. Hospital admissions for myocardial infarction and stroke before and after the trans-fatty acid restrictions in New York. JAMA Cardiol. 2017 Jun 1;2(6):627-634. Dr. Tom Frieden is one of the world’s leading public health experts. Dr. Frieden is President and Chief Executive Officer of Resolve, a $225 million, 5-year initiative housed at Vital Strategies, a non-profit global health organization working toward the vision that all people are protected by a strong public health system. The Resolve initiative aims to save millions of lives from cardiovascular disease and make the world safer from epidemics. Resolve is funded by Bloomberg Philanthropies, the Chan Zuckerberg Initiative, and the Bill & Melinda Gates Foundation. Dr. Frieden was Director of the Centers for Disease Control and Prevention (CDC) from 2009 to 2017, and led the CDC work that helped end the Ebola epidemic. Over the course of his career, he controlled the largest outbreak of multi-drug resistant tuberculosis ever to occur in the United States, helped establish the largest tuberculosis control program in the world in India, and directed efforts on several public health issues that led to a rapid increase in life expectancy in New York City. Because of his leadership at CDC, Americans are safer from antibiotic resistance, foodborne and healthcare-associated infections, heart attacks, strokes, cancer, and exposure to dangerous pathogens. A physician trained in internal medicine, infectious diseases, public health, and epidemiology, Frieden has published cutting-edge, widely cited research on a broad range of topics. He has transformed the organizations he has led, creating global models of scientific rigor, maximum accountability, measurable impact, community engagement and increased staff morale. As New York City Health Commissioner from 2002-2009, Dr. Frieden led efforts to reduce smoking, eliminate artificial trans fats from restaurants, initiate the country’s largest community-based electronic health records project, and eliminate colon cancer screening disparities, among other critical initiatives. During his time as Commissioner, life expectancy in New York City increased by three years, a faster increase than in the United States as a whole. Dr. Frieden also designed and launched Bloomberg Philanthropies’ Initiative to Reduce Tobacco Use, a program that has so far supported policies which have saved 30 million lives, with much more life-saving potential ahead. From 1992-1996, he led New York City’s tuberculosis control program that reduced multidrug-resistant cases by 80 percent. Dr. Frieden then worked in India helping build a tuberculosis control program that has saved more than three million lives. 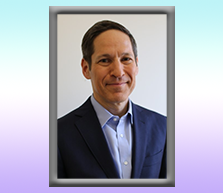 Dr. Frieden received medical and public health degrees from Columbia University, completed infectious disease Fellowship at Yale University, and was an Epidemic Intelligence Service Officer at CDC. He is the author of over 200 scientific publications.